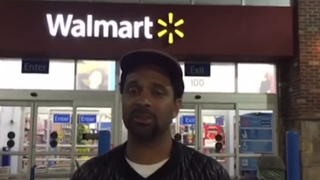 Mike Epps, who is currently on his After Dark Tour, was recently in Atlanta spreading Christmas cheer and helping out a woman in need. After hearing about a woman who is very active in her community helping others and how she wanted to buy children coats for Christmas, he picked up the unnamed woman, and the two went on a shopping spree. Never mind the fact that the woman had no idea who Epps was. For the holiday season, Epps also issued a challenge to other people who are in a position to help others. “I challenge every entertainer … go grab a family, go grab somebody that really, really needs something,” Epps said. On top of wrapping up his tour, the comedian-turned-actor also stars in the Starz network series Survivor’s Remorse, which has been renewed for a second season. He’s also about to embark on probably the biggest role of his career, playing Richard Pryor in the upcoming Lee Daniels biopic. It’s always good to see entertainers giving back, especially during the holiday season.